If you're ready to take your trail riding to the next level, let us introduce you to your new friend, the Rockhopper Pro. We built it to be light, durable, and exceedingly capable, but how we did it is far more interesting. It starts with our new A1 SL alloy frame that has optimized tube shapes which save weight while dramatically improving aesthetics. To go along with these clean new lines, the new Rockhopper also has internal cable routing to further clean up the frame. Lastly, our Sport XC 29 geometry adjusts the reach, angles, and standover height to make for an improved fit across the size range. 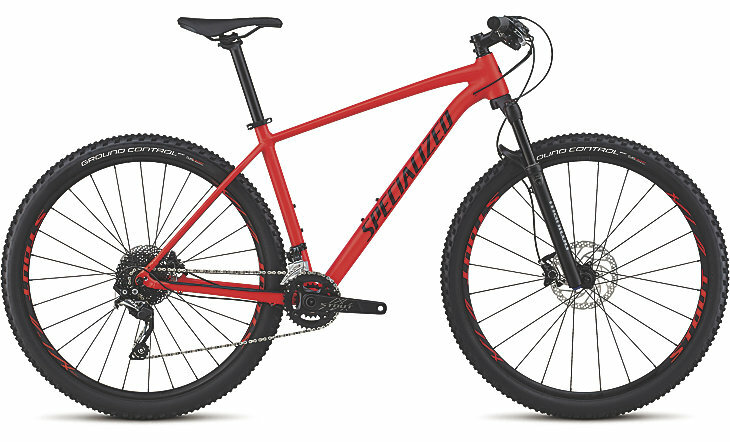 This is sure to keep you ripping and confident while heading both up and down the trail. FRONT TYRE	Specialized Ground Control Sport, Flak Jacket flat protection, wire bead, 29x2.1"
REAR TYRE	Specialized Fast Trak Sport, Flak Jacket flat protection, wire bead, 29x2.0"